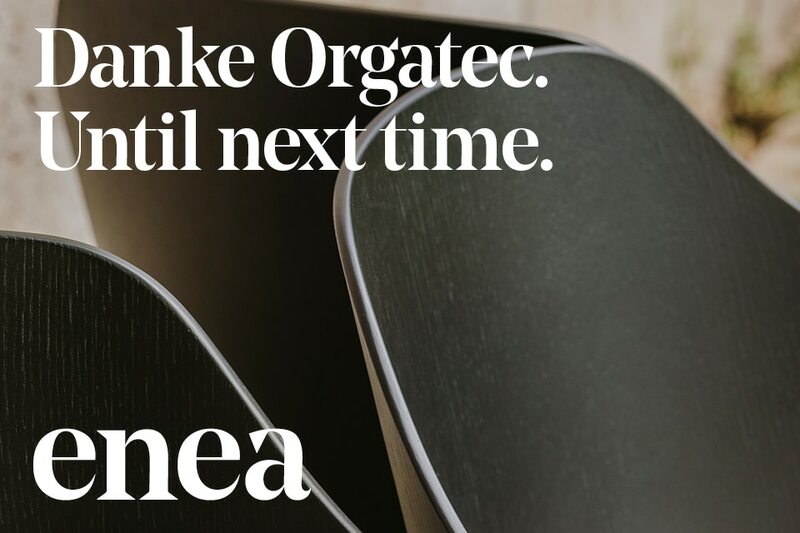 Orgatec furniture fair, in Cologne, has become one more edition the stage where we have presented our novelties and the projects in which we are working on. In this way, for almost a week, we have presented new furniture proposals for the furnishing of public and residential spaces for indoor and outdoor environments; products that have been well received by visitors, among whom we could find architects and interior designers. In one hand, we have presented our novelties, all of them designed by Estudi Manel Molina, like our Caddy coat stand made of polypropylene, our Ema 4L chair with arms, our Kaiak chair, new accessories for the LTS System table, a lower version of our Puck pouf and our first chair designed for outdoor, Street. On the other hand, we wanted to know the opinion of visitors about the products we are working on and that will be on the market very soon, such as the Kaiak Lounge, the Caddy table, the new wooden arms for the Lottus collection; the Pile table, specially designed for the contract sector; our outdoor Street chair with arms, the Street stool and the new Puck puff versions. These new proposals are versatile designs that can be easily integrated in hospitality, offices or domestic environments. All our offer combines quality and creativity resulting from the study, commitment and the investment in research that is constantly carried out by Enea. Furniture capable of intertwining design, technology and sustainability to offer products and solutions with an extraordinary added value for the decoration of a contemporary life that looks to the future. It has been a pleasure to show you all this news and we are at your disposal for any information, question or request. Thank you very much and see you at the next edition!